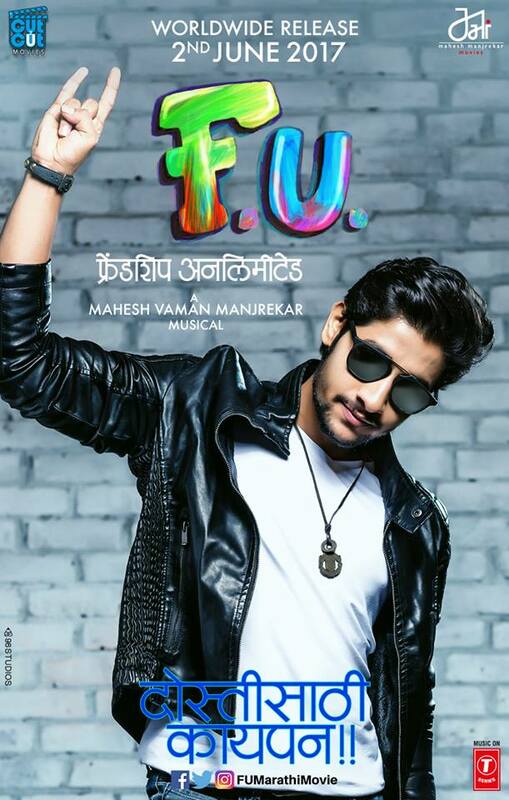 "FU - Friendship Unlimited (फ अ - फ्रेंडशीप अनलिमीटेड)" is an upcoming movie starring "Sairat" fame actor Aakash Thosar, along with Sanskruti Balgude, Satya Manjrekar, Vaidehi Parshurami in lead role, movie also stars Marathi film industry and Bollywood biggies Sharad Ponkshe, Sachin Khedekar, Isha Koppikar and Boman Irani. Movie story is written by Abhijeet Deshpande and directed by Mahesh Manjrekar. The film will release in cinema theater on 2nd June 2017.